8 km in miles – Google Search. 220 – 43 – Google Search. Especially since there is still software like Garmin Training Center for Mac on Mac OS X with – in the System Preferences – the Measurement Units set as Metric, insists on entering weight as lb, and workout distance in miles. 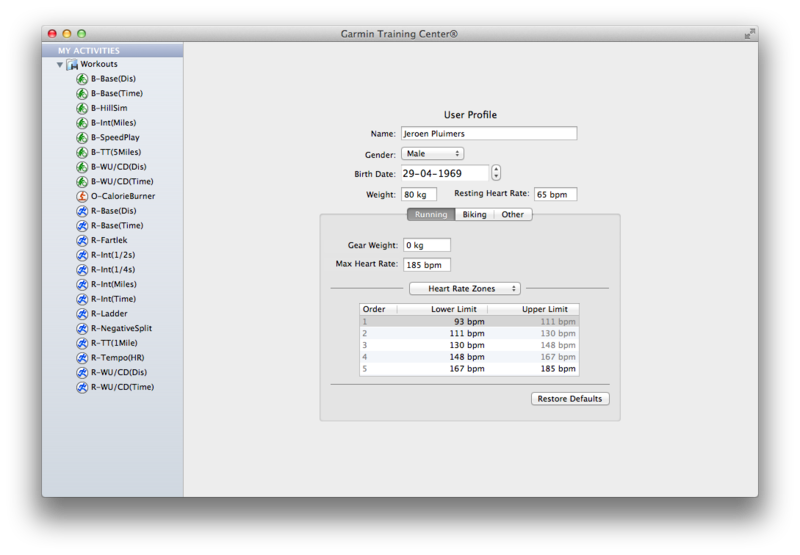 The reason is that Garmin Training Center on Mac OS X has its own “Measurement Units” settings. 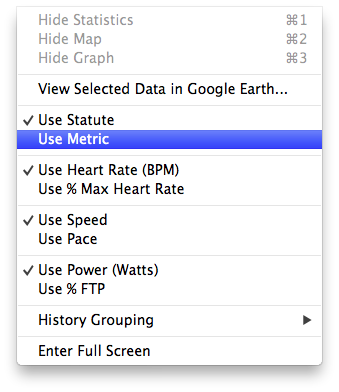 Where Mac OS lets the system wide setting be either “Metric” or ” US”, Garmin choose between “Metric” and “Statute” (the latter is default, not the OS X setting). there is a Statute Mile which is the default Mile in the US, but differs from the Survey Mile. 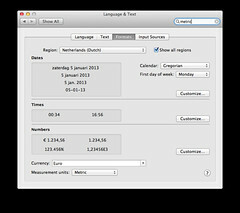 Garmin has head offices and most of their customers outside the USA, so why insist on US units being default, and why not link the setting to the Mac OS X Preference? Oh BTW: if you connect your Garmin device, and GTC still indicates “no fitness device was found”, then use a different USB Cable and don’t connect it through a hub: the device is very picky on talking over USB (charging over USB works with virtually any USB cable). 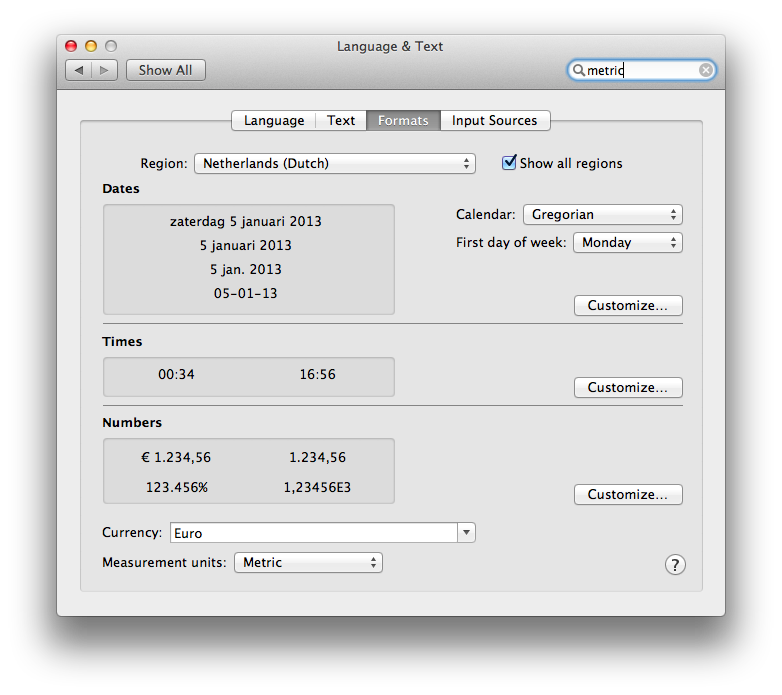 Garmin Training Center on Mac OS X insists in imperial units, even though the system is configured as metric. Garmin Training Center on Mac OS X has its own “Measurement Units” settings. 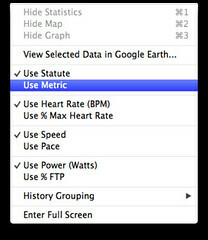 Where Mac OS lets the system wide setting be either “Metric” or ” US”, Garmin choose between “Metric” and “Statute” (the latter is default, not the OS X setting). Even after setting the Garmin Training Center to “Metric”, it still lists “Miles” in your workouts.